There are many reasons why you may be in the market for a new doctor. Perhaps you’ve moved to new area or have a new insurance plan. Maybe your primary care physician is retiring or you feel like your relationship with your current doctor isn’t a good fit. But where should you start? Use this checklist to make the process of finding a primary care physician or pediatrician easier. What kind of care do you and your family need? Are you healthy and primarily interested in preventive care to help preserve your health and care when you get common illnesses like the flu or strep throat? If you’re living with one or more chronic health conditions like diabetes, heart disease, or respiratory disease, you’ll want a physician with experience managing these conditions who can refer you to experienced specialists if needed. If you’re older and living with health problems, you may want to consider choosing a primary care physician who specializes in geriatric medicine. Beyond medical experience, what are you looking for? 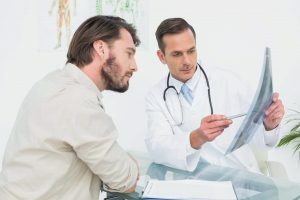 Of course you want a doctor who’s skilled and board certified, but there are other factors to consider, like whether you prefer a male or female physician, how close he or she is to retirement, bedside manner, and, if English is not your preferred language, whether the doctor and staff speak your language. Good communication is also important. The doctor should listen to you without interrupting and explain any diagnosis or treatment in plain English. What’s the office environment like? First, think about location and whether you prefer to see a doctor whose office is close to your home or work. You should make an appointment to meet the doctor before choosing him or her as your new physician. While you’re there, consider whether the staff is courteous and professional, whether the phone is answered in a timely manner, and how long you have to wait to see the doctor once you’re in the office. How accessible is the doctor? Find out how far in advance you need to schedule an appointment and whether same-day sick care appointments are available. Ask what the doctor’s policy is for answering questions by phone, email, or an online portal. How long are the average appointments and will you have time to ask all your questions and discuss issues like strategies to lower your risk for health problems that run in your family? Does the doctor have evening or weekend appointments? Discuss whether you’ll always be seen by the doctor or if some of your care will be provided by other staff members like nurse practioners or physician’s assistants. If it’s a group practice, find out who will provide your care when your primary care physician is not available. If it’s not a group practice, ask who covers for the doctor when he or she is not there. Cost considerations. Beyond checking to see if the doctor is part of your health insurance network, it’s also wise to ask if there are fees for other services such as completing health forms, getting a copy of your medical records, and missed appointments. If you need help building a list of potential physicians, you can ask friends and family for recommendations, use your local medical center’s find a doctor online tool or phone line, check a list of physicians who are in your health insurance network, or work with a personal health advisor.